NDT Global has announced the senior appointment of Derek Kernan, Vice President, Quality Management to its global operation. 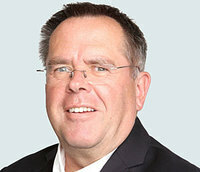 In this new role, Kernan holds overall responsibility for Quality Management including Global Quality Services for all aspects of our business including Document Control, Corrective Action Systems, Continuous Improvement, Internal Auditing, Supplier Quality Management and Quality Assurance for Data Services. Kernan brings a wealth of experience in organisation building, high performance team direction, strategy development, process improvement, customer relations and problem solving. Throughout his career, Kernan has had extensive European, US and other international experience in the areas of quality and product improvements in highly regulated and competitive high tech environments. “I am excited to be joining NDT Global and look forward to working closely with the excellent team already in place. We have great technology and products – combined with a loyal and expanding customer base, with which I aim to strengthen our global Quality Team, aligning the capabilities of our people, processes, procedures and products with the needs and expectations of our customers,” Kernan says. The appointment of Derek Kernan to the executive leadership team continues NDT Global’s commitment to developing its service offerings to meet the future needs of the industry.